Responding to a halt in trade during World War I that saw an end to the importation of European toys, Marion Perkins made her first piece of miniature furniture, a ladderback rush chair, in 1917. Encouraged by fellow member of the Handicraft Club in Providence, Amey Vernon, the two set up a small workshop space at the Club, first in the basement of the John W. Mitchell House, and subsequently in the carriage house of the Truman Beckwith House, which allowed space for a showroom as well. 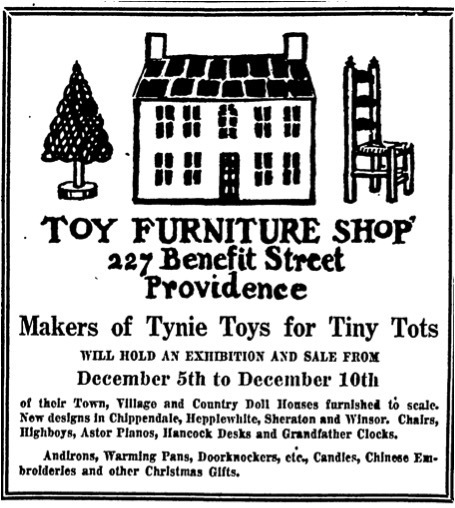 This was the beginning of the Toy Furniture Shop and their line of Tynietoy furniture. Perkins had studied in the department of Decorative Design at the Rhode Island School of Design, and after working briefly as secretary for Rhode Island’s Governor Lippitt she embarked on a career as an interior designer. Perkins used her practical knowledge and expertise to create high quality miniature furnishings, at a scale of one inch to one foot. Much of the furniture was modeled on the American colonial period, which Perkins would have been familiar with from the Pendleton House Collection of American and European decorative arts, donated to the RISD museum by Charles Pendleton in 1904. 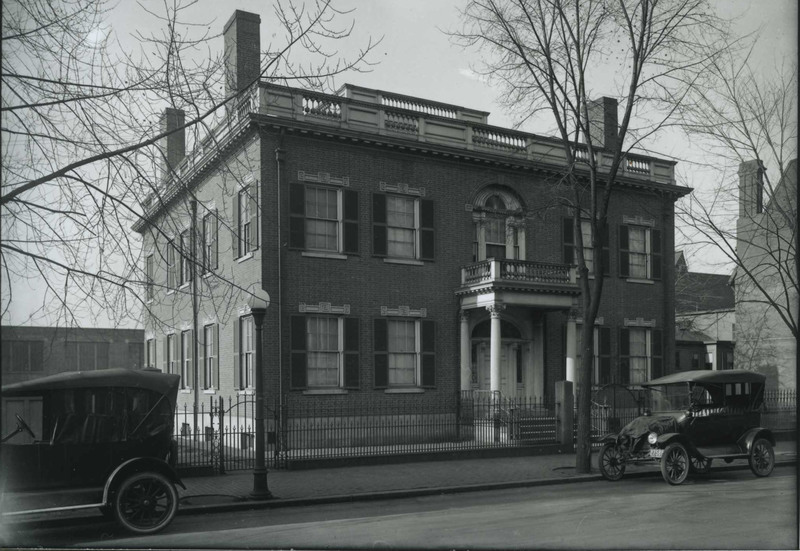 Well-known Providence artist, Sydney Burleigh assisted in the design of the furniture and dollhouses, and as the company’s output expanded, the manufacturing moved to larger quarters on Market Square, where the RISD auditorium now stands. 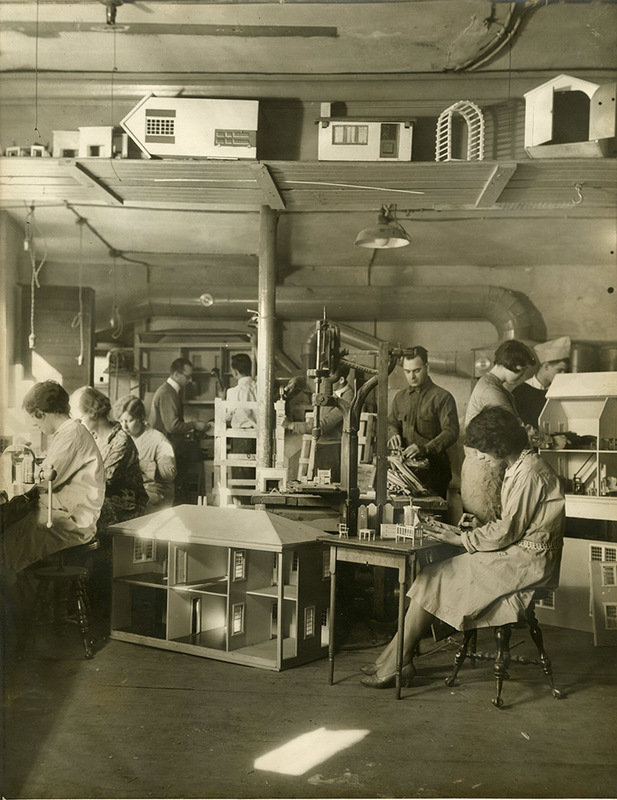 The company had around sixty employees by 1927 made up of RISD students and veterans from the First World War, who were responsible for hand painting the details and decoration of the pieces, as well as assisting with the construction of the dollhouses and furniture. Thus, Perkins can been seen as part of a wider national movement after the War, which saw a renewed interest in the socially beneficial impact of design, demonstrated locally by RISD’s rehabilitation program for wounded veterans, established in 1919. 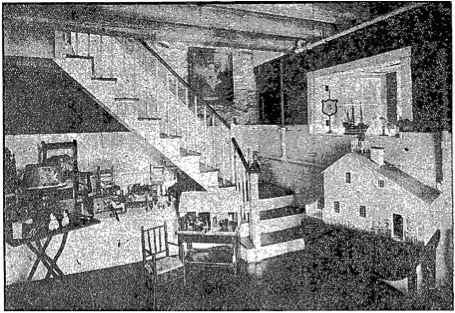 Tynietoy offered six different models of dollhouse, all based on traditional New England house styles, the most expensive of which was the Colonial Mansion, partly inspired by Pendleton’s residence in Providence at 72 Waterman Street, which was itself used in the design of the interiors of Pendleton House. The quality of the Tynietoy furniture, combined with the fact that it was made to scale, set it apart from other companies producing miniature furniture during the period. 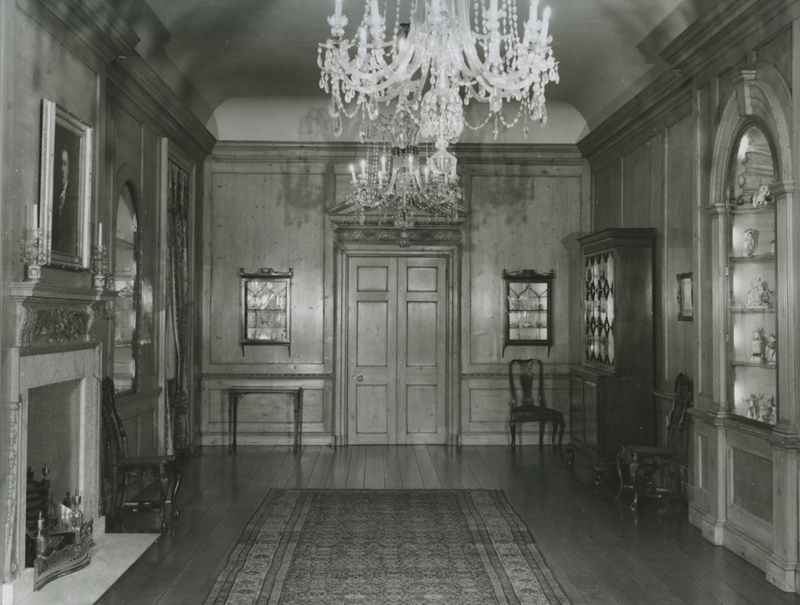 The company was at its most active in the 1920s, and was duly credited with enhancing appreciation for colonial style American furniture, both nationally and internationally, evidenced by the fact that the Metropolitan Museum of Art in New York acquired the first room of miniature furniture Perkins exhibited at the Handicraft Club. After the stock market crash in 1929, the business began to struggle, although it managed to stay afloat until the early 1950s. From business records, it appears that the company was taken over by new management in 1940, the year in which Vernon died. Perkins died in December 1947. The story of Tynietoy offers a rare example of female entrepreneurship in a period when women were not encouraged to work, let alone run a company. Perkins, much like the founders of the Handicraft Club, aimed to promote an appreciation of hand-crafted design, both within the local community and further afield, offering her own form of historic preservation in miniature. Tynietoy show room in the carriage house of the Handicraft Club: Tynietoy was lucky enough to have a showroom at the Handicraft Club for many years, which helped to facilitate sales. This photograph appeared in the Providence Sunday Journal as part of an article about the Handicraft Club's move to the Trueman Beckwith House on College street. ~ Source: The Providence Sunday Journal, October 4, 1925. Tynietoy advertisement: This advertisement shows the Tynietoy logo that appears in all their advertisements, which was also stamped onto the undersides of the individual pieces of furniture. The logo includes the ladderback chair - Marion Perkins' first piece of miniature furniture. ~ Source: The Providence Sunday Journal, December 4, 1921. The Handicraft Club purchased a Tynietoy Colonial mansion in 2013, and set up a heritage fund in order to furnish and maintain the mansion. More information can be found here. Sets of Tynietoy furniture used to sell from between $10 - $20 dollars, but now you have to pay upwards of $60 or more for individual pieces such as a coffee table or nightstand. 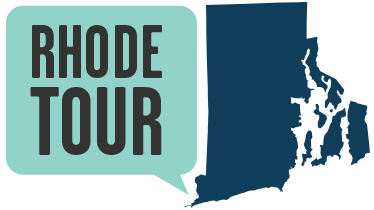 Eloise Maxwell, “Historic Preservation in Miniature,” Rhode Tour, accessed April 21, 2019, http://rhodetour.org/items/show/256. Handicraft Club Tynietoy records, Rhode Island School of Design Archives. Hosmer, Herbert. I Remember Tynietoy. South Lancaster, Mass: The Toy Cupboard Museums, 1976. “Handicraft Club Occupies New Home on the Hill,” Providence Sunday Journal, October 4, 1925.